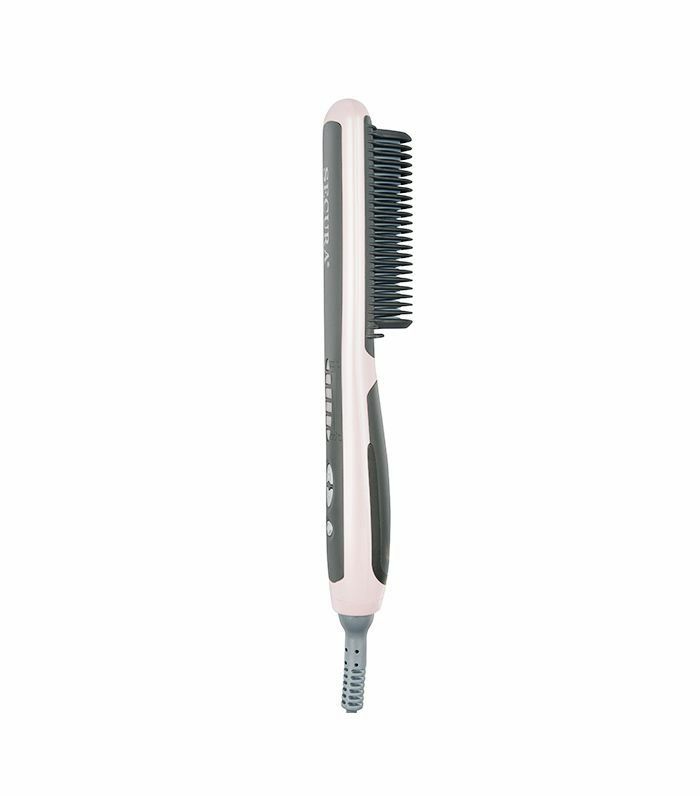 Calling all flatiron junkies: Meet the hybrid comb and styling tool—the answer to our prayers, the godsend we've been waiting for—the brush hair straightener. This innovation could be the end of wasted time and, more importantly, split ends. 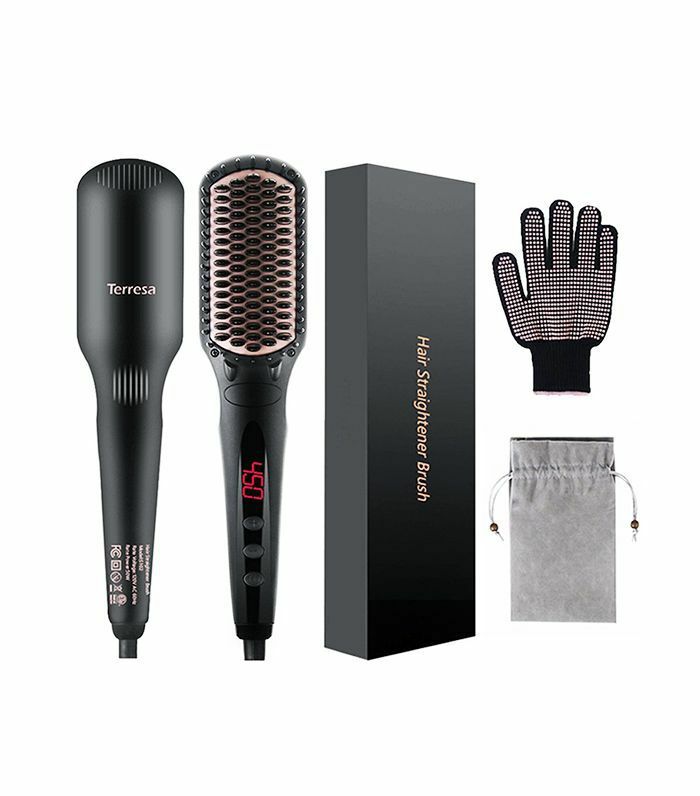 Less damage, quick heat-up times, and sleek designs mean this styling tool might cure all your hairstyling woes. With only a few passes, the bristles of the comb separate your hair into sections and evenly distribute heat to your strands, leaving your hair silky-smooth (and without any trace of bumps in the back). Not sure where to begin with choosing a brand? We've got you covered. We compiled the best of the best, based on reviews and ratings, to ensure these are the most bang for your buck. 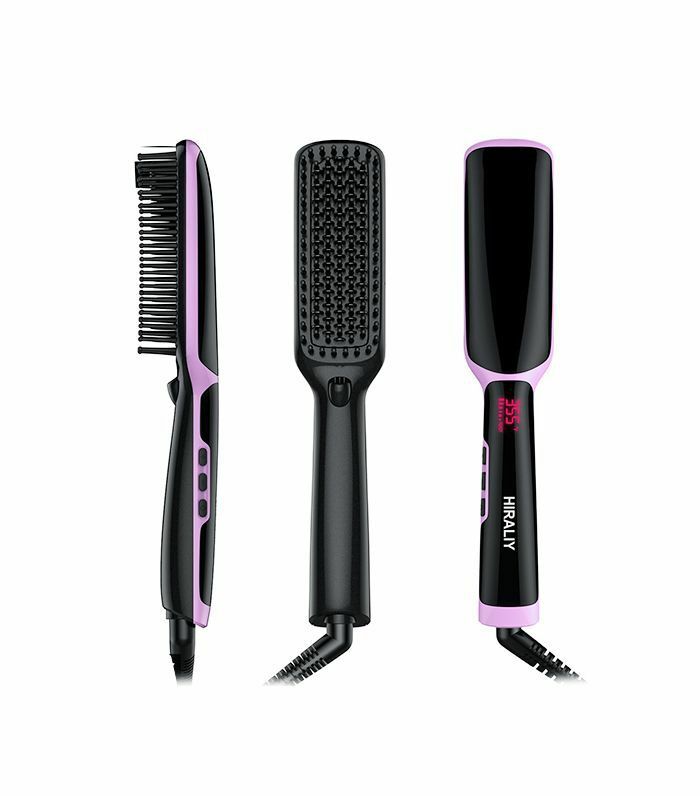 Keep scrolling to read about the best straightening brushes for all hair types! 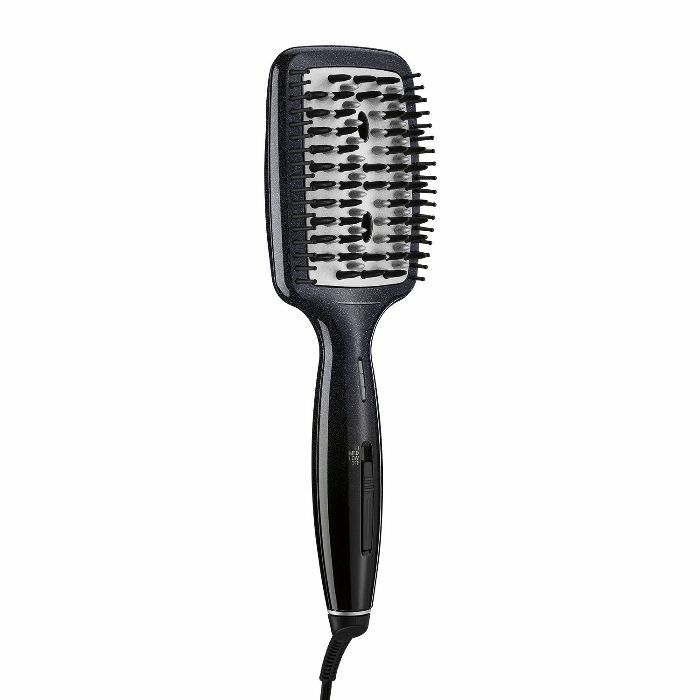 Turn this bad boy on, and get ready to style in one minute of waiting time. Plus, the adjustable heat—300 to 450ºF—allows you to match your styling to your specific hair type: thin, fine, bleached, wavy, or curly. (One thing to note is that finer hair should stick to lower temperatures to avoid unnecessary damage, whereas thicker hair should start off at around 430ºF). Reviewers say that this product leaves their hair frizz-free all day—ideal for daily maintenance and for those of us who are "running from boardroom to bar," as one happy customer raved. For anyone who loves double-duty products, this three-in-one is a next-level must-have. 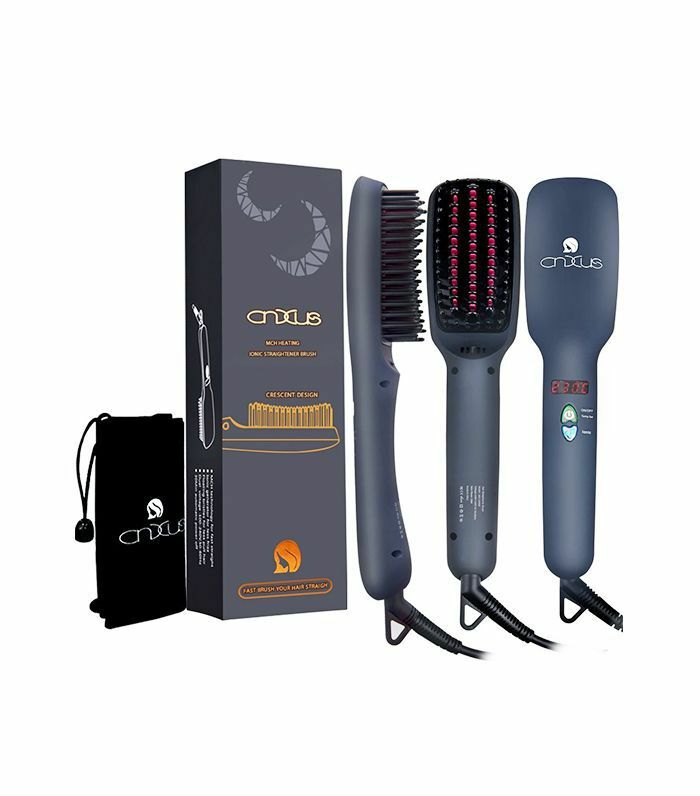 With a ceramic-iron hair straightener, detangling hair brush, and ionically charged hair massager, multifunction is an understatement in this one tool. The lightweight and comfortable handle lets you create smooth, straight, frizz-free hairstyles in half the time it takes to use a flatiron. Section and straighten your hair at the same time with this holy-grail styling tool. Here's an added bonus: Its powerful ceramic plates deliver a consistent level of heat across the entire surface of your mane. This pretty much guarantees no unwanted bends or heat damage. One reviewer says, "This hair straightener comb not only straightens my hair but also gives it volume, shine and movement/life in my hair. It's like I just got a blowout." As if that wasn't impressive enough, you'll also avoid breakage and get seamless, quick results with total coverage thanks to the separating bristles. Tame your tresses in one fell swoop with this buzzy tool. It detangles, eliminates frizz, and gives you soft, silky hair much faster than other products. Why the decrease in time? It's mostly due to the anti-scald comb teeth and steam power. 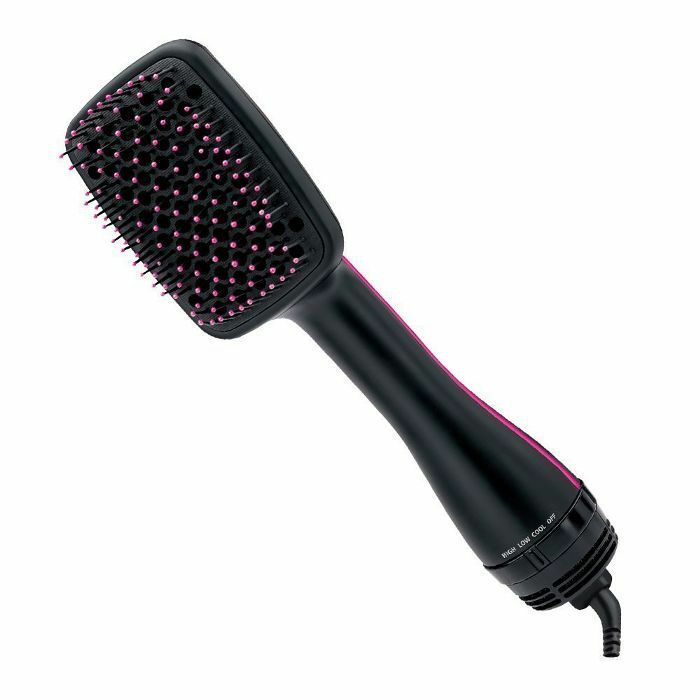 This addition to Revlon's Pro Collection allows you to simultaneously dry and style your hair. 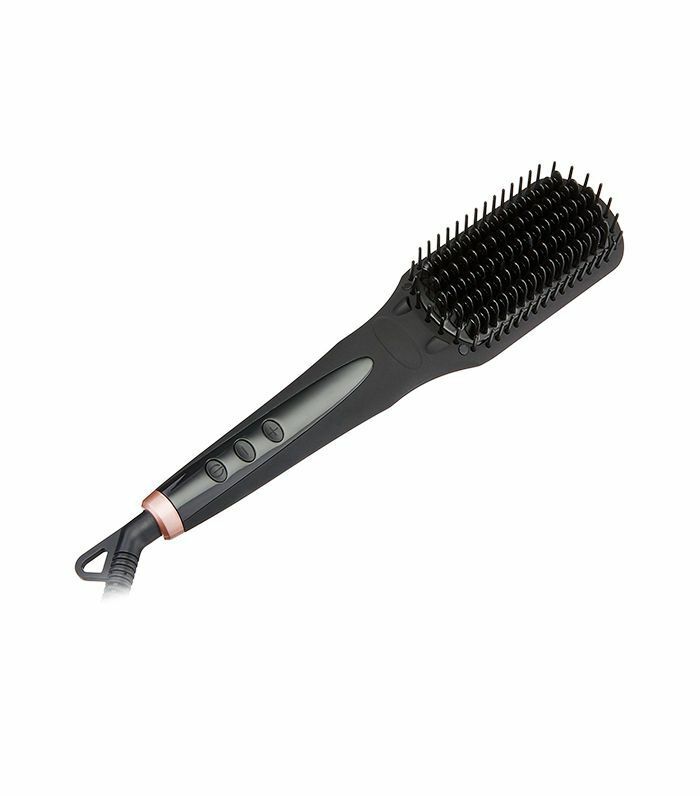 The wide brush makes it easy to get through large sections of hair in less time and with less damage. Is this the product of your dreams? Try it out and see for yourself. 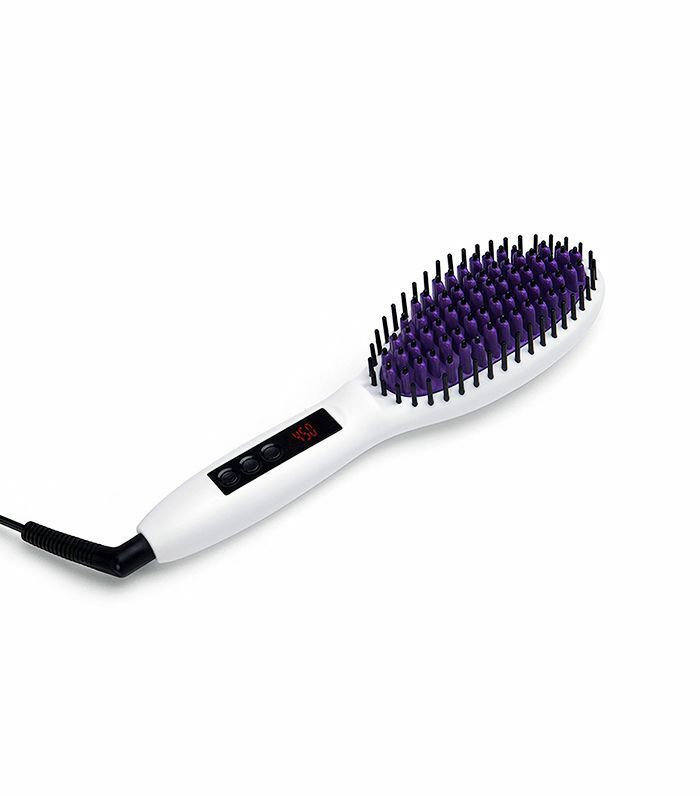 The curved shape of this hybrid brush-dryer awards added volume to your everyday styling. A few passes alone will leave even the most unruly hair tamed and frizz-free. Want more styling tricks? Check out the four hairstyles to sleep in so you can wake up with better hair.